The one constant through all the years, Ray, has been baseball. America has rolled by like an army of steamrollers. It’s been erased like a blackboard, rebuilt, and erased again. But baseball has marked the time. This field, this game, is a part of our past, Ray. It reminds us of all that once was good, and that could be again. Oh, people will come, Ray. People will most definitely come. Baseball has always been my constant. I lost my father when I was young, but the cherished memories that remain inevitably revolve around baseball. Playing whiffle ball in our yard, curled up in his lap on a Saturday morning watching his beloved St. Louis Cardinals on the Game of the Week or just going outside and “having a catch”. It has always been baseball. My dear friends at Visit Phoenix invited me to join them for a week-long trip to celebrate the opening of Spring Training. This trip would include a lot of baseball but would introduce me to many dining and entertainment options available in the greater Phoenix area that I’ll detail in a later post. I appreciated how well the various Visitor Bureau’s in the area worked together and at various points in the trip, we were hosted by Visit Phoenix, Visit Mesa, Discover Gilbert, Discover Salt River, Visit Peoria AZ, and Tempe Tourism. There are few things full of more hope than Spring Training. Every team and their fans are full of possibilities. 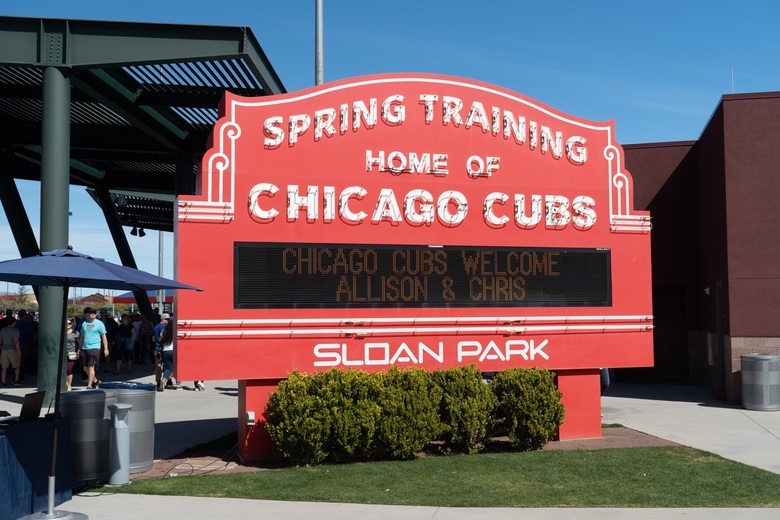 Everyone believes in their core that “this will be our year!” Although I am a diehard Cardinal fan like my father, I was thrilled that my very first Spring Training game would be at Sloan Park watching the Chicago Cubs host the Arizona Diamondbacks. We moved from Chicago to Los Angeles three years ago, and walking around this mini Wrigley Field, seeing a sea of Cubs jerseys and Chicago shirts and smelling the aromas of Vienna Beef hot dogs and Chicago-style pizza cooking was like coming home. 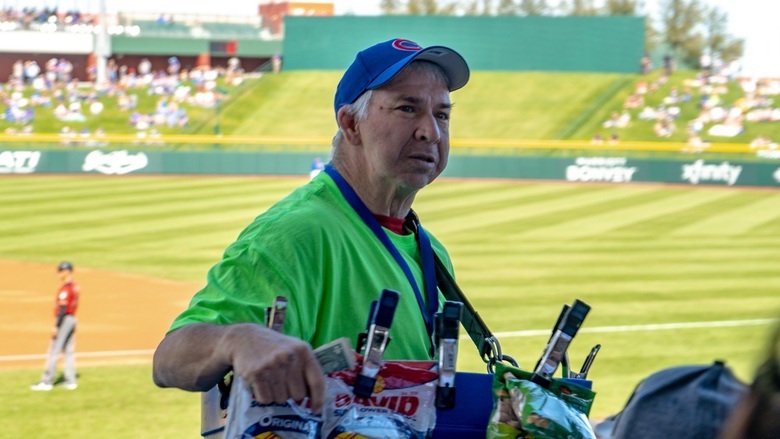 And of course, it wouldn’t be that authentic Chicago experience if there weren’t beer vendors hawking Old Style. I had great conversations with several people around the ballpark including the couple sitting behind me and it turns out they had actually lived in the same Chicago suburb that I had. Just wandering around the ballpark is a cool experience. Watching parents sprawled out on blankets across the green grass with their kids playing their own little baseball games reminded me of a better, simpler time. 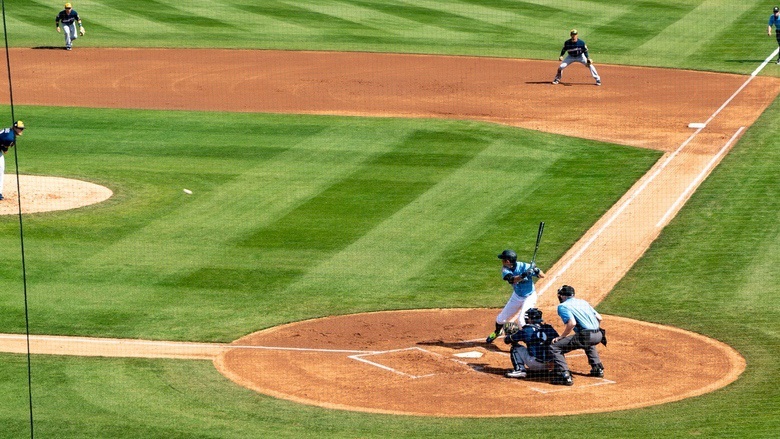 Later in the week, we attended a Milwaukee Brewers and San Francisco Giants game at Maryvale Park and then finished up our baseball week by watching the Seattle Mariners host the Milwaukee Brewers. 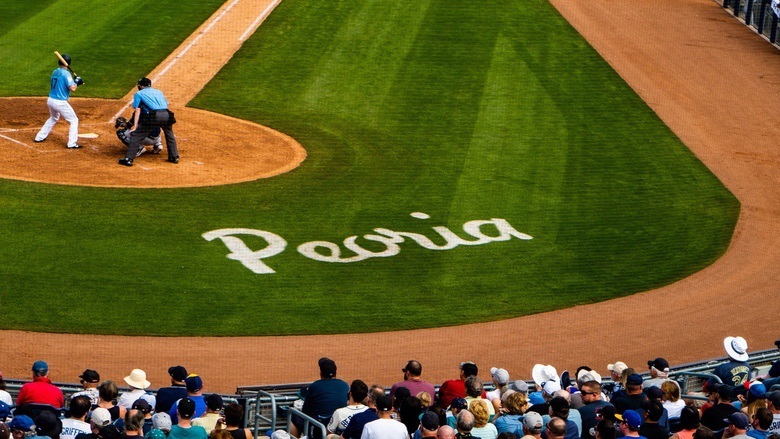 We received a cool behind the scenes tour of the Peoria Sports Complex by the folks from Visit Peoria AZ. One particularly memorable moment was the first time that Ichiro Suzuki came to the plate the first time. The entire stadium quieted and anyone who was walking through the concourse stopped and moved closer to watch this 45-year old legend and sure-fire Hall of Fame take his cuts. Of course, he slapped a base hit through the hole between first and second as he has done countless times before. 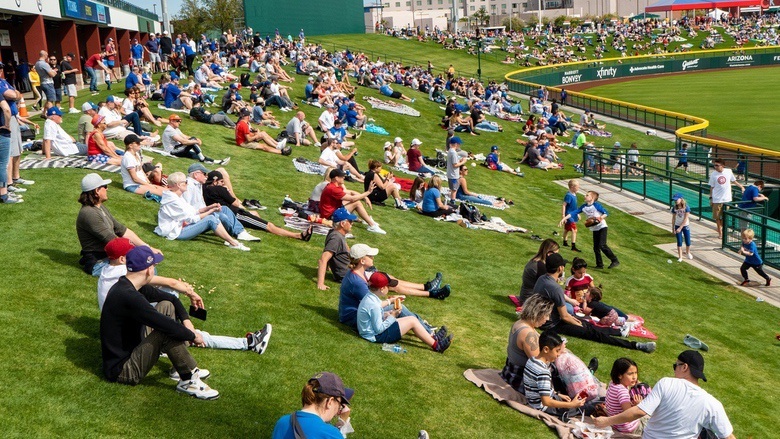 If you are a baseball fan and have never attended spring training, you owe it to yourself to make the trip. It was an amazing week of baseball and showed me yet again why for me, it will always be baseball. Stay tuned for the next article in this series detailing our amazing dining, drinking and entertainment experiences.